*Online/Phone ticket orders are subject to a $3.50 order charge. **Ticket prices are in Canadian currency. 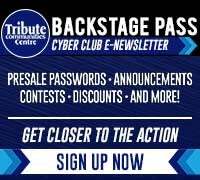 Groups of 12+ SAVE $5.25 per ticket! 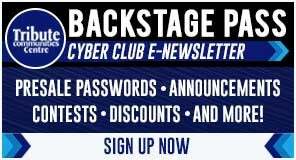 Corporate Employee Benefit Program Members click here. 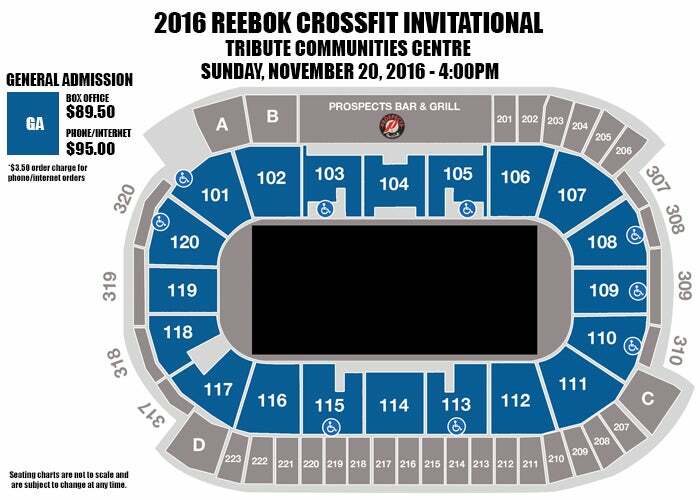 In its fifth year, the Reebok CrossFit Invitational will take over the Tribute Communities Centre in the most stacked event to date. The Invitational is CrossFit’s all-star game, with the fittest men and women from each section of the globe coming together to compete. After the CrossFit Games, athletes are carefully chosen and invited to represent their respective countries at the Invitational. The event begs the question: Which individual athletes will also excel on a team? The CrossFit Games are the world’s premier test to find the Fittest on Earth. Each season is a three-stage journey starting with the Open—a five-week, five-workout online competition, held in affiliates and garage gyms around the world. The best athletes of CrossFit’s 17 regions move on to one of eight regionals where they compete for a chance to go to the Games—a multi-day competition, which culminates in the crowning of the Fittest Man and Woman on Earth. At this year’s Invitational, 20 CrossFit Games athletes, including six champions, will be in attendance. Witness the coaching skills of four-time Games gold medalist and two-time Affiliate Cup champion, Rich Froning, as he attempts to lead USA to a third consecutive victory. Watch the team compete with 2015 Fittest Man on Earth Ben Smith, and reigning Games champion Mat Fraser, as well as two-time Games athlete Brooke Wells and 2016 Games rookie Kari Pearce. On the Europe Team, two-time reigning Fittest Woman on Earth Katrin Davidsdottir will try to bring the championship back to her homeland with the help of 2013 Games champion and team coach Samantha Briggs. Also competing for Europe is 2015 Games bronze medalist Björgvin Karl Guðmundsson, two-time Games third-place finisher Sara Sigmundsdottir and three-time Games athlete Lukas Högberg. Watch two-time Games silver medalist, and 2016 Rio Olympics weightlifter Tia-Clair Toomey compete for the Pacific Team alongside perennial Games competitor Rob Forte, fan favorite Kara Webb and second-place 2016 Meridian Regional finisher James Newbury. The Pacific Team will be under the watchful eye of multi-year Games athlete Chad Mackay. And with the home-field advantage, watch the Canada Team fight for the top spot while being coached by 2014 Games champion Camille Leblanc-Bazinet. The team consists of 2016’s third- and fourth-place finishers, Patrick Vellner and Brent Fikowski, as well as multi-year Games athlete Michele Letendre and 14th-place finisher in 2016, Carol-Ann Reason-Thibault. In past years we’ve seen 1-rep-max clean and jerks, legless rope climbs, heavy deadlift holds, high-skill, synchronized gymnastics and so much more. Get tickets now and find out what 2016 will bring.